Slot Machines Unlimited is widely known for our service and support to the countries of Central America. We have been servicing the area for over 15 years. We have sold slot machines in Mexico, El Salvador, Costa Rica, Belize, Panama and Nicaragua. For Central America slot machine sales, contact us to get great machines. Our goal is to provide high quality technical support for every purchase. 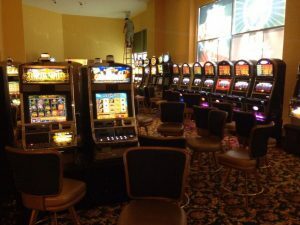 When you buy a 20 0r 40 foot container of slot machines from us, we will send a technician to your location to train your techs on the slot machine. If you would like to hear more about this, please feel free to call us. Our goal is to provide your account for a lifetime. We believe that satisfied customers will return again for business. We recently serviced and supported a beautiful casino in Nicaragua. We offer a wide range of products for Central America. We currently carry the following slot machines for Central America: Bally, Aristocrat, Williams, IGT, Konami, Ainsworth. Click here to see some of our past orders of international slot machines. We offer translators in Spanish to further assist our clients in Central America. Please feel free to reach out to us on Whatsapp at (937) 672-7288.